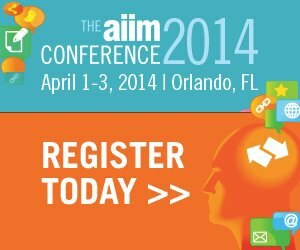 Join Kate Pugh in Orlando for her AIIM 2014 session on April 3, The Frontiers of Engagement: Creating Employee Networks to Meet the Challenge of Innovation. She’ll explain why you should care about networks: theyyield lucrative innovation, coordination, local change, and even a refuge for the individual practitioner. Then, she’ll discuss with you networks that improve an organization's agility. Read on for a sneak peek into her session. 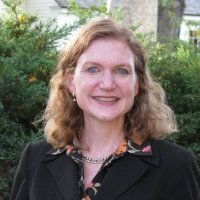 Katrina (Kate) Pugh is Academic Director of Columbia University's Information and Knowledge Strategy Masters program and president of AlignConsulting, specializing in knowledge-based transformation. Pugh is the author of a book on conversation for knowledge-sharing, Sharing Hidden Know-How (Jossey-Bass/Wiley, April 2011). She has published in the Harvard Business Review, Ivey Business Journal, NASA Ask Magazine, Journal of Digital Media Management, MIT Sloan Management Review, and The Review of Economics and Statistics. “Knowledge networks (or Communities of Practice) are collections of people who harness the power of social platforms to do great things.” Or, so it goes. In research Larry Prusak and I did for Bill & Melinda Gates foundation, “Designing Effective Knowledge Networks” (Sloan Management Review, Fall, 2013), we showed that, without leadership and intentional design, those platform-gazing groups just don’t stick around. Members lose interest, content becomes stale, and we wonder why we started in the first place. By contrast, networks that are well designed and led get great results: innovation, cross-organization coordination, problem-solving, and transformational learning. In looking at leadership in effective networks we didn’t find a single charismatic guru. On the contrary, effective networks’ leaders acted as a group; guiding, coordinating, and modeling the type of democratic processes they wanted to see throughout the network. 1. Strategic dimensions involve leaders’ cohesiveness as a team; the visibility of the sponsor; the vocalization of a crisp and compelling purpose; an intentional balance of experts and learners; and, finally, clarity around target membership and member recruitment. 3. Tactical dimensions involve measuring the networks’ accomplishments, incorporating lessons learned, and implementing some sort of reward system – be it intrinsic (e.g., social recognition) or extrinsic (virtual badges or award plaques). Great leaders actually think about a logical flow from those design dimensions to outcomes. First, they see that good design results in dynamic structures, what we often call virtuous cycles (“I contribute to meetings because they feel productive, and my contribution keeps the productivity going.”) Next, they think about how structures enable network members to behave, such as sharing their connections and readily helping troubleshoot fellow members’ problems. Finally, they see how specific behaviors, such as collaboration, result in the bonafide results, such as members’ project cycles shortened, new partnerships, systematic incorporation of lessons learned, and faster response to industry and technology change. Fifteen years ago, when we first imagined networks (we called them all “communities of practice”), we tried injecting our project management ideas and failed. We stamped out the tiny vestiges of creativity that our members had left after they’d clicked through our clunky, hyper-structured websites. Now, with social platforms, it seems that adding design would pierce the breezy, elegant simplicity of the experience. Not so. People crave substantial and transparent engagement. So many fly-by-night network “look-alikes” come at them – selling something or tricking them into doing their work – that they’ve starting to feel exploited. If we want our networks to live up to the promise of true, authentic collaboration, it’s time to design. No one knows the relationship between network (the noun) and network (the verb) better than Kate. In fact it's when your nouns and verbs don't agree that Kate's insights form the clearest path to more effective collaborations.